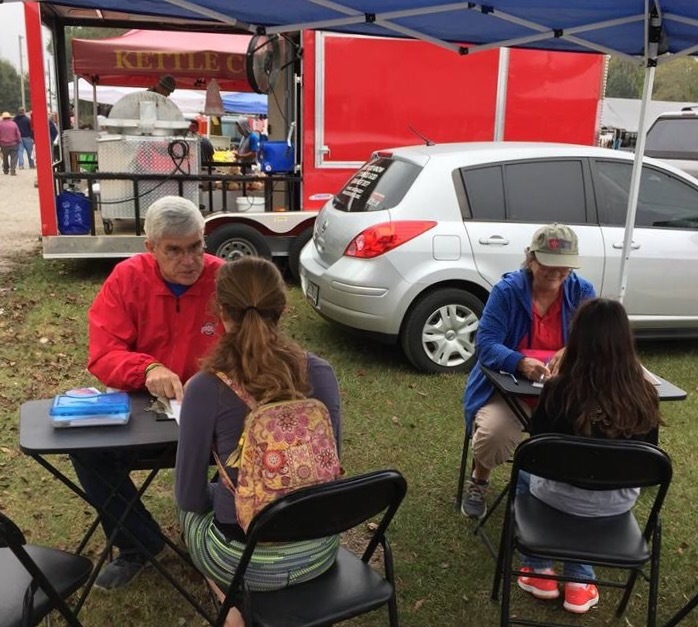 This is a picture from last week of SOS Events workers at the Wednesday Flea Market in Plant City, Fl. Twelve people came to know the Lord on that day. Today is another Wednesday and Randy and Alice are there again, along with some of the other workers who love winning souls to Christ. These workers sacrifice their time every week, setting up before 6:00 am, for the privilege of Serving Our Savior. Please pray for them today as they are already there before you even get a chance to read about them. Pray that many will be saved today. This entry was posted on December 28, 2016 at 1:21 pm and is filed under Email: info@sosevents.org, Event Activity & News, Salvation, Serving Our Savior. You can follow any responses to this entry through the RSS 2.0 feed. You can leave a response, or trackback from your own site.